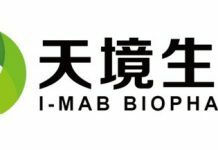 NANJING, China, Sept. 20, 2018 /PRNewswire/ — PharmaBlock Sciences (Nanjing), Inc. (SZSE: 300725), a global leader in providing innovative chemistry products and services throughout the pharmaceutical R&D process, recently announced the appointment of Dr. Shijie Zhang as Chief Technology Officer. Shijie joins the company from Agios Pharmaceuticals, Inc., where he was Director of Process Chemistry and API Manufacturing, CMC. Dr. Shijie Zhang brings over 20 years of combined experience in medicinal chemistry, process chemistry, and API manufacturing. Before joining PharmaBlock, he led the CMC API team at Agios for the two FDA-approved therapies (Idhifa®, Tibsovo®), by managing and overseeing API development programs and manufacturing activities spanning from preclinical stage to commercial stage, and preparing API sections of regulatory filing documents, including IND, IMPD, NDA, and briefing documents. PharmaBlock started its business by providing lab-scale building blocks and medicinal chemistry services to support drug discovery. With more pharmaceutical R&D projects adopting its products advanced from discovery to preclinical and clinical research, even into commercialization, PharmaBlock sensed great demand in expanding process and manufacturing capabilities. Since the joining of Dr. Jing Li, former Associate Director at Merck & Co., Inc., as Vice President of Process Chemistry two years ago, PharmaBlock has made great progress in expanding process chemistry and implementing process technologies. Bringing Dr. Shijie Zhang to the team will get a step further to improve the QA system, and extend competence in process development and manufacturing to support clients’ late phase and commercial programs, thus strengthening the company’s competitiveness in CDMO business. PharmaBlock Sciences (Nanjing), Inc. (SZSE:300725) is a leading provider of innovative chemistry products and services throughout the pharmaceutical R&D process. Officially operated in 2008, PharmaBlock has rapidly gained recognition for its outstanding capability in the design, synthesis, and supply of novel building blocks for drug discovery use. With more drug R&D projects adopting the company’s products advance from discovery to preclinical and clinical research, even into commercialization, PharmaBlock moved on to build up top notch process R&D capabilities, and is providing scale-up synthesis and manufacturing of key intermediates/RSMs. The company is now committed to a more comprehensive and long-term service to valued customers. Over the past years, PharmaBlock has partnered with over 80% of the top 20 pharmaceutical companies, and hundreds of small to medium-sized biotechs around the world. In 2012, the company opened a facility in the San Francisco Bay Area, and set up the United States headquarters in Pennsylvania in 2017, expanding the inventory, customer service and lab functions for more efficient and timely services to local customers in the United States and Europe.